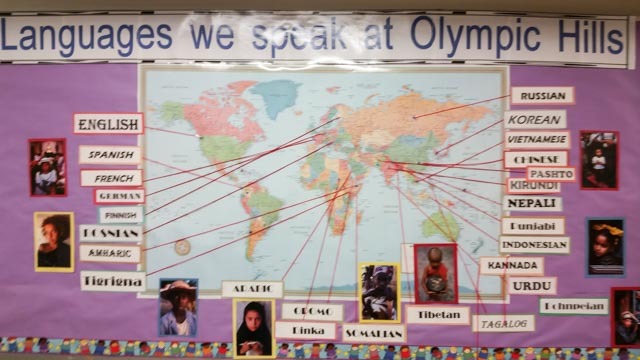 Twenty-six (26) different countries are highlighted on the new 2015-2016 student-represented World map at Olympic Hills Elementary School, located temporarily at Cedar Park Elementary. The newly remodeled site, located in NE Seattle’s Cedar Park neighborhood is welcoming and blessed with students from all over the world. MC2’s tutor based ELL after school program begins its third year.